The new device, called Yandex.Phone, will go on sale on Thursday in Russia and online for 17,990 rubles ($269/237 euros)—less than similar phones from competitors Apple and Samsung—and will work with the Android system. Yandex's various apps for payment, music, maps, taxi and food are pre-installed on the phone, which will also use a speaker called Alice (Alisa in Russian), which uses artificial intelligence and is similar to Amazon's Alexa. "Within the smartphone, the Yandex apps are presented in the form of an ecosystem with Alice at its centre." At Wednesday's presentation Yezhov told journalists the company wanted "to show all the Russian producers that (Yandex) can make a phone from start to finish, with our user interface and our ecosystem." The phone signals a new phase in Yandex's development and is designed to compete in Russia with giants like Apple, Samsung and Huawei. Tom Morrod, research director at IHS Markit, said Yandex will not "be competing with iPhone or top-end models". The phone will allow the company to "collect data on all aspects of a user—what they eat, what they listen to" and target them with ads, he said. 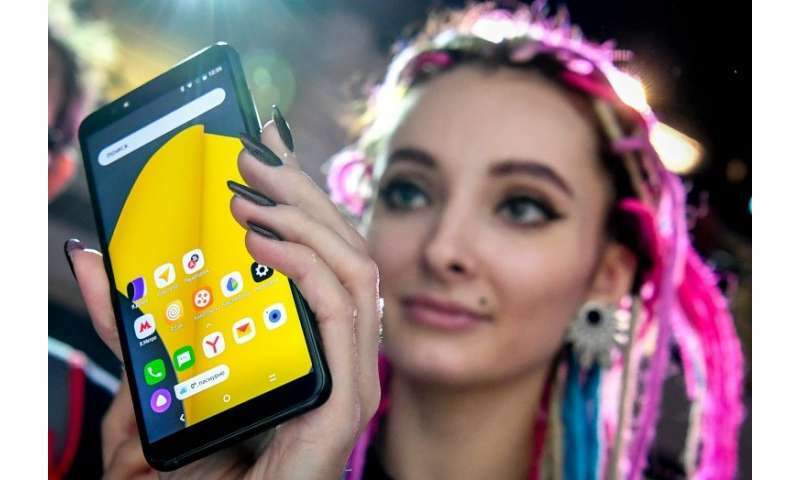 Konstantin Gagarin, editor-in-chief of digital technology news site SuperG.ru, told AFP that "in terms of its capabilities, this is an absolutely ordinary smartphone. But if you look at the services offered, it is actually an interesting device to test out. And what's more the price is absolutely affordable and appropriate for the market." "Yandex isn't aiming for a colossal success. They mainly just want to sell a certain number of smartphones and get feedback on which direction to move in," Gagarin said. Yandex and its main Russian rival Mail.ru—which owns the country's most popular social networking site VKontakte—compete in the booming e-commerce sector as Russia faces pressure from Western sanctions and turns towards China for joint projects.